Am I the only one who is overly emotional nowadays? Is it because I’m a human rights advocate and an antibullying educator? Is it just me? Am I just a silly, liberal bleeding heart? I see children ripped from their mother’s arms in our neighbouring country, The United States of America, and then caged in detention centres. Am I overly emotional? I think not! If one child is suffering, then we should all be suffering. I know that children are suffering worldwide and that we have large issues with our child and social welfare services within Canada. Much reparation needs to happen for Canada’s Indigenous population. Yes, and any human living in a fascist, unjust state should be saved from their pain. I work in this arena and am focused on the refugee crisis. But, right now, this week – it’s the incarcerated children in America. This is the last straw. I’ve read the tweets; the sides of the narrative and the bible does not condone the incarceration of youth. Hugs and consolation is forbidden. From the workers who need the work, to the migrant families – it’s too much to take. So, I sit here and I cry and I wonder why people like Trump, the ultimate bully, rise to the top. Trump has invested in detention centres and is earning money from this horrific situation. Plus, many of the children will never be reunited with their families, and some have been lost (already!) to child trafficking. This is big! As humanity gets greedier and more fearful, we have to follow the selfish whims of people like him. All the while, these children are experiencing extreme trauma and I feel helpless. But, I’m sick of crying. It’s time for action! • South Texas Pro Bono Asylum Representation Project is providing free legal services to asylum seekers detained in South Texas. • RAICES is a nonprofit that provides free and low-cost legal services to immigrant children, families and refugees in Texas. It’s accepting donations and volunteers at its website. • The CARA Project is currently recruiting attorneys, law students and paralegals with experience in asylum work. The group asks volunteers to be fluent in Spanish or willing to work with an interpreter. • Kids In Need of Defense partners with major law firms, corporations and bar associations to create a nationwide pro bono network to represent unaccompanied children through their immigration proceedings. Volunteers don’t need to have immigration law experience. 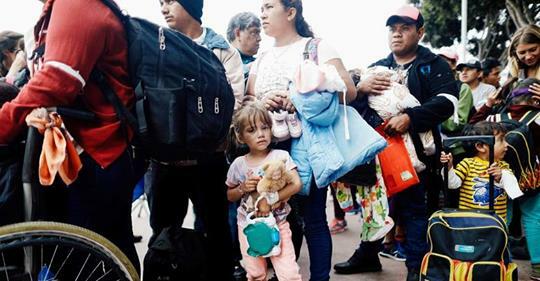 • The El Paso-based Las Americas Immigrant Advocacy Center provides legal representation to immigrants who might not be able to afford it otherwise. It’s accepting volunteers and donations.